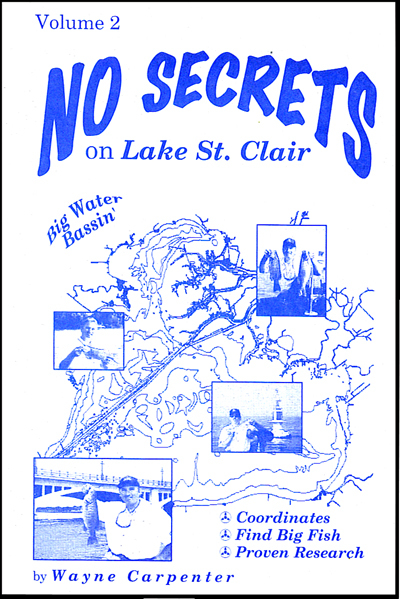 This is the second book in the No Secrets on Lake St. Clair series and it brings a completely different set of information to you with the same powerful format used in No Secrets Vol. 1. At the point this book was published there was five years of Combat Bass Fishing Weekly Newsletter research to draw from. This edition has 40 more pages than the first and goes farther and deeper into how to get the most out of this world class fishery. Spots and GPS coordinates are covered but you can expect to get the best “big water” logistics support and I can give you to manage a variety of conditions the Lake will throw at you and still catch fish. Get this book to gain a deeper understanding of the fishery and put together a plan for your next trip out. 12 More “Hot Spots” – The first chapter takes up where the last book left off and delivers 12 new spots with GPS coordinates and detail for both U.S. and Canada. Security Zones, Rules, Laws and Reality – You can reach three different jurisdictions by boat: U.S., Canada and Walpole. This entry was posted on March 13, 2010 at 9:40 PM and is filed under BTTF Product Updates, Xtreme Bass Tackle products. You can follow any responses to this entry through the RSS 2.0 feed. You can leave a response, or trackback from your own site. I just found you blog and have been reading your past posts. I really like what you are doing. I will check out your websites next.